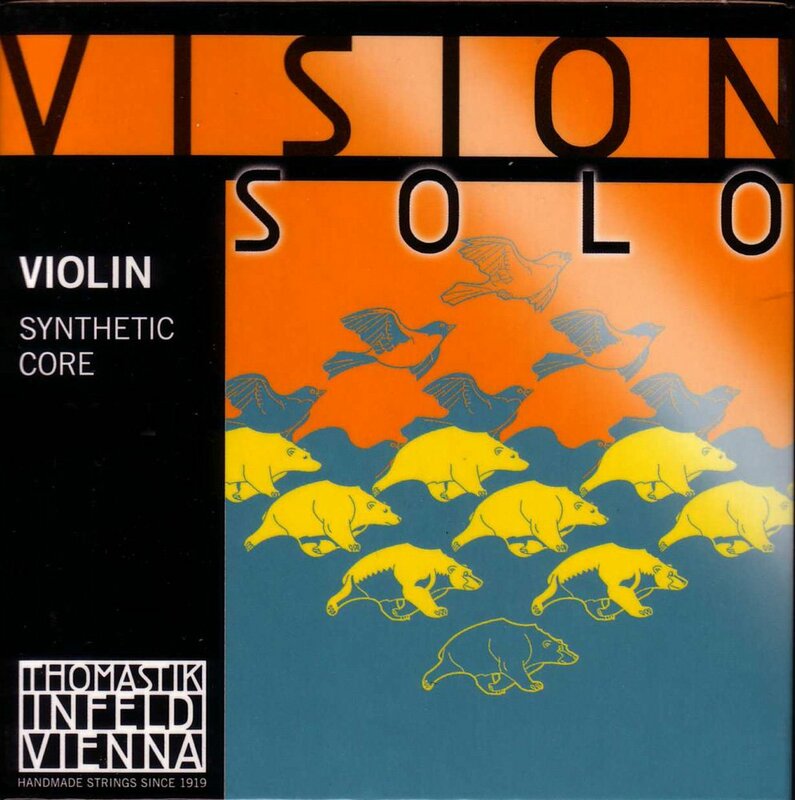 Vision Solo violin strings feature a technically advanced formulation and architecture designed to produce a blend of exceptional performance and playing characteristics. They offer great warmth with focus and clarity as well as energetic and intense projection. Using advanced synthetic core technology, they are easy to play and settle-in in just one to two hours. They offer unparalleled tuning stability, respond quickly and are more durable than most synthetic core strings.